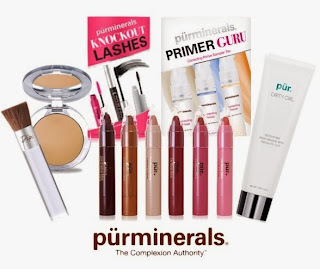 For our first brand of this year's 12 Brands of Christmas, I am so excited to introduce all of you to Pur Minerals. We've recently started carrying this amazing brand and have quickly fallen in love with their makeup and skincare. All formulas contain antioxidants, vitamins and minerals to nourish skin. Foundations, primers and concealers contain Ceretin Complex which combines Retinol and Ceramides. Foundations are also bound with Shea Butter and Vitamin E to provide long lasting coverage. 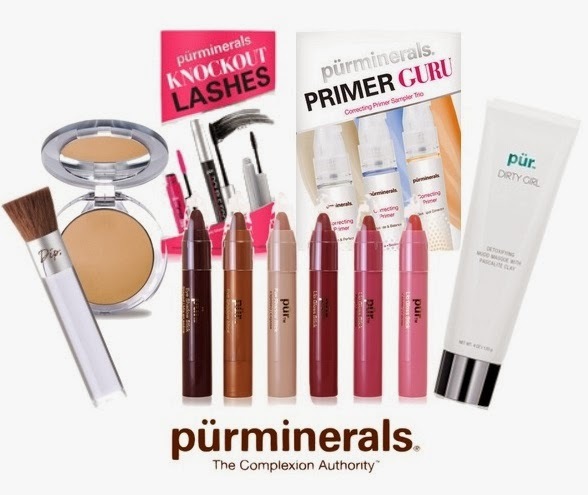 Clinical results show the amazing skin benefits from use, including improved skin tone and texture, less irritation, reduced pigmentation, and an improvement in fine lines and wrinkles -- just from using Pur Minerals makeup! Lip Gloss Stick: A sheer shade that's moisturizing and lasts all day. My go-to for everyday is Berry Pretty, but I love the intense color of Game Day too. 4-in-1 Pressed Foundation: With the Chisel Brush, this foundation goes on flawlessly with great coverage. My skin feels so soft and smooth, and my imperfections are all covered up. Dark Spot Correcting Primer (Peach): I can instantly see a difference in my skin tone after applying this primer, and can tell that it's truly improving my skin. CC Cream: I love this product! It provides sheer coverage plus improves your skin tone and texture! With so many different foundation formulas available, we've tested them all and were amazed with the results. Not only will your skin look good with Pur Minerals' primers and foundations, but over time, your skin will actually improve, for even greater results. All formulas are pH balanced at 5.5 so your skin won't get irritated or need a toner. Formulas are paraben-free, SLS-free, and cruelty free with no chemical dyes. Products work to correct, prevent and interrupt your biggest skin concerns. Simplicity Gentle Cleanser: With this cleanser, you get both a squeaky clean and soft, moisturized feel. It also naturally foams into a lather, so no irritation here. Dirty Girl Detoxifying Mudd Masque: With Pascalite Clay, this masque seriously pulls impurities out of your skin while soothing and calming; so say goodbye to those painful, under the skin blemishes. Miracle Mist: Honestly, what doesn't this product do?! It sets makeup, fights against free radical damage, quenches dehydrated skin and clarifies oily problem skin on the face and body... no wonder it's called Miracle Mist. Soak it Up Intense Hydrating Moisturizer: Not only does this intense moisturizer make a great night cream, but provides a flawless canvas when applied before your primer and foundation. It's also oil-free and gentle enough for sensitive skin, so all skin types can use it. Ahh this is awesome! I haven't tried anything from them yet but it sounds like a amazing brand!